This little tree frog has been living on our deck for 2 summers now. His name is Little Dude. He has decided my patio umbrella is his treehouse, and he keeps singing for his girlfriend to join him. Little Dudette (his woman) is bright green and only stops by to visit him occasionally. 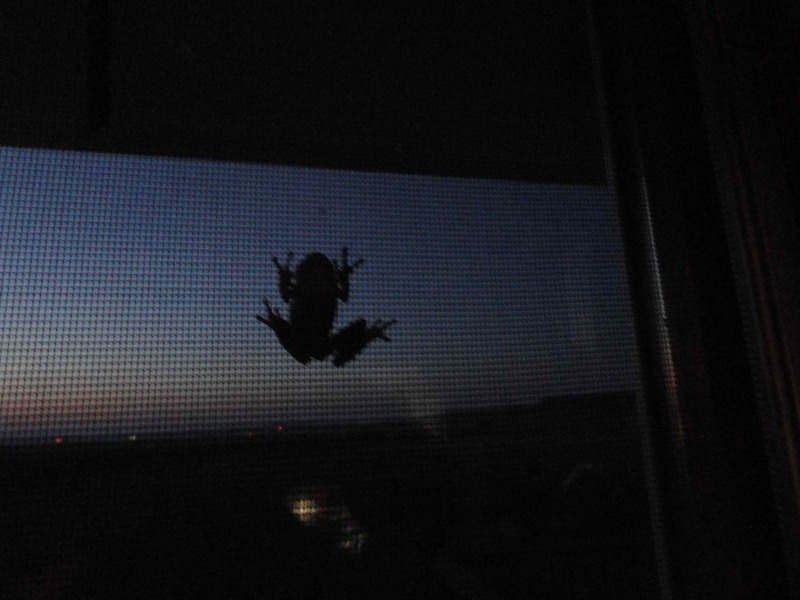 Tonight he was scaling the kitchen window in pursuit of a bug. Look at his little froggy toes! I love him! ‘Tis true; I can’t resist them.